The Tigers are 3-12 this year in the slot in the rotation that is normally filled with Doug Fister. This includes 2 of Casey Crosby’s starts and all 3 of Adam Wilk’s starts. 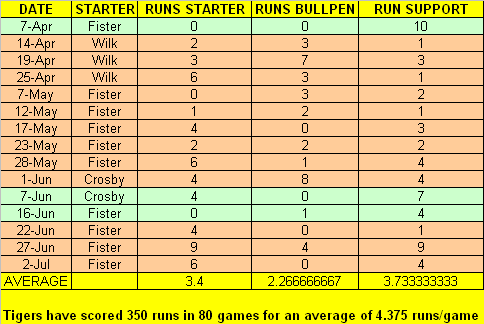 While Fister has not pitched well lately- or at least not gotten good results- the 0.200 winning percentage shocked me. I decide to look a little deeper. In the chart below the wins are indicated in green. To dig a little deeper I could record how many innings each start went. Crosby and Wilk did not go deep into games either because they did not pitch well, or because Leyland trusted his bullpen more than a 6th or 7th starter. Fister left a game early the first time he went on the DL. I could also focus on earned runs allowed instead of runs allowed. But, I’d say the lack of run support is the real culprit here. In other words this is mostly fluky and will probably average out. 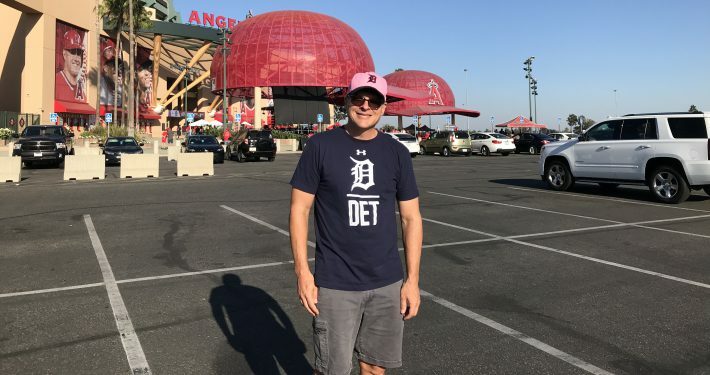 I will resume blaming Young’s expected performance and Boesch’s and Raburn’s under performance for the Tigers’ disappointing season.